Judd Blunk and his wife Cyndy began planning their new home in Batavia, IL. But, not just any home would do. The couple sought the ultimate home in both performance and style. Judd Blunk is an employee of a high-end German car company. He wanted a home that matched the performance and quality of the cars he sells. Inspiration was found in Germany, where a new method of constructing Passive Homes is growing in popularity. So, exactly what are Passive Homes? Passive Homes are super energy efficient homes. This is because they are built to capture heat from the sun. In fact, oftentimes, these homes do not require a heating system, even in cold climates. It was no surprise that Blunk teamed up with German engineer Marko Spiegel, owner of Conservation Technology International, a design and energy consulting firm based in LaFox, IL. Spiegel had built a reputation of constructing One-Watt-Houses™ that can be heated with only one-watt of electricity per square foot of floor area on the coldest days of the year. Oftentimes, these homes do not require a heating system, even in cold climates. Spiegel’s approach begins with a super insulated thermal envelope to seal in the home’s internal temperature. He started with Plastispan® expanded polystyrene under the concrete slab, and the Advantage ICF System® for the basement walls. Then, he used the Insulspan® Structural Insulated Panel (SIP) System for the above grade walls and roof of the home. Not only do Insulspan SIPs provide the well insulated building envelope necessary for a high performance home, they also speed up installation time and reduce labor costs. 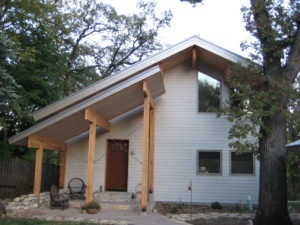 The Insulspan building envelope and other energy saving technologies allowed Spiegel to eliminate the furnace from the home and rely on passive solar heating through one of the coldest Illinois winters on record. 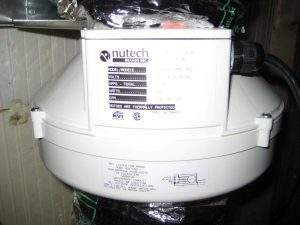 A special attachment to the home’s ventilation system can produce heat using the home’s hot water heater if necessary. Blunk’s 2680-square-foot home is 60% more energy efficient than an average new home. He credits Insulspan SIPs as one of the key energy saving measures in his home. “I visited the Insulspan factory, met with their designers and architects, and without fail, my experience with Insulspan was positive,” Blunk said.